Nature camps offer endless opportunities for children to learn about nature, hike, observe wildlife, create crafts, play games and explore the outdoors. Tualatin Hills Nature Center offers nature-based camp programs for a variety of age groups including Summer, Day Off, Winter and Spring Break camps. For descriptions of upcoming camps check out the Nature Programs section in the Activities Guide or call THNC at 503-629-6350.
Who: Ages 4-6 year olds in Camp Wild Things, 7-10 year olds in Nature Explorers Camp and 10-13 year olds in Camp Green. What: During a typical day kids may hike, study wildlife, create crafts, play games or go on a field trip (Nature Explorers Camp and Camp Green only). When: Over winter break and on most scheduled Beaverton School District holidays and in-service days. Full Day Nature Camps run from 7:45 a.m.-5:15 p.m.
Where: The drop-off and pick-up location for these camps are at the Tualatin Hills Nature Center and Cooper Mountain Nature Park. Some days have activities onsite and some days we travel to other locations. Below are general descriptions for all camps. What: A half-day camp in which campers explore the trails, create fun crafts, and get a close look at the animals that call the Tualatin Hills and Cooper Mountain Nature Parks home. We also offer Full Day Off Nature Camps for 4-6 year olds on many school day offs. When: Monday through Friday from 9 a.m.-noon or 1-4 p.m. Camps run throughout the summer and over winter and spring breaks. Full Day Off camps run from 7:45 a.m.-5:15 p.m.
Where: Morning and afternoon sessions are offered at the Tualatin Hills Nature Center. Morning sessions are also available at Cooper Mountain Nature Park. What Mini-camps offer half-days filled with fun and adventure. Create arts and crafts, play games, make new friends and explore the many beautiful areas of the Tualatin Hills and Cooper Mountain Nature Parks. When: Monday through Friday from 9 a.m.-noon or 1-4 p.m. Camps run throughout the summer and over winter and spring breaks. Where: Morning and afternoon sessions are offered at the Tualatin Hills Nature Center. 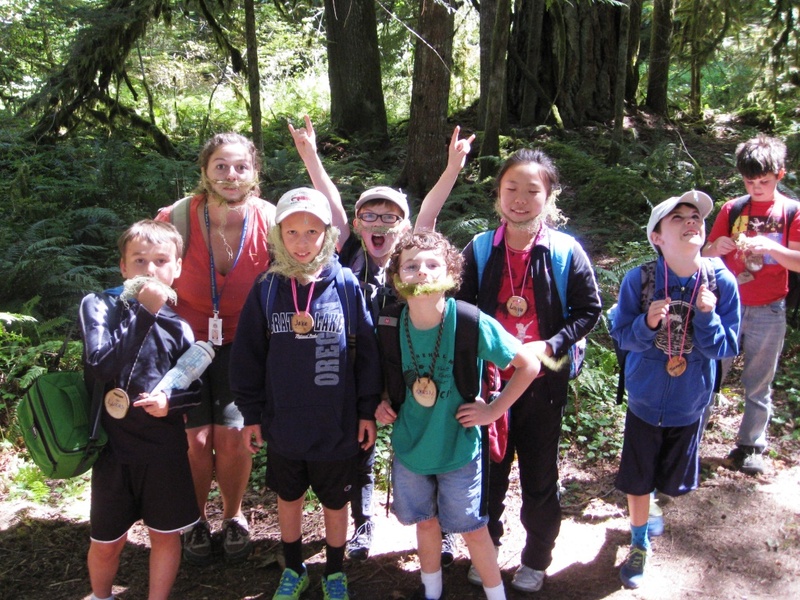 What: Campers will hike, check out critters, play games and see awesome natural sites while exploring the Tualatin Hills Nature park and on trips ranging from Mount Hood to the Oregon Coast. During the summer, swimming on Fridays rounds out the fun! When: Monday through Friday from 7:45 a.m.-5:15 p.m. Camps run weekly over spring break and during the entire summer break. Where: The drop-off and pick-up location for these camps are at the Tualatin Hills Nature Center. Some days have activities onsite and some days we travel to other locations. What: Wild Adventure Camps are full day camps filled with discovery, fun and wild adventures. Play nature games, make new creations and explore the trails and habitats of the park with brand new friends. When: Monday through Friday from 9 a.m.-4 p.m. throughout the summer. Where: The drop-off and pick-up location for these camps are at Cooper Mountain Nature Park. Camp activities will be held at Cooper Mountain each day. What: These full-day camps provide opportunities for tweens to delve into the scientific world in which we live. Campers will do science-based activities and explore how their daily lives are intertwined with their natural surroundings. In addition to taking field trips to natural areas around our region, campers will explore hidden pockets of nature in local parks and greenspaces. When: Monday through Friday from 7:45 a.m.-5:15 p.m. throughout the summer. Where: The drop-off and pick-up location for these camps are at the Tualatin Hills Nature Park. Camp activities will be held offsite each day. What: Mornings filled with exploring nature. When: Program is held Tuesday and Thursday, offered three times this summer. Where: The drop-off and pick-up locations for these programs are at Lowami Hart Woods Natural Area, Willow Creek Greenway, Cooper Mountain Nature Park, or Hyland Woods Natural Area. What: Campers will discover and play a number of sports, explore parks and nearby natural areas. You can expect to combine fun movements and games with exciting nature components. This is a joint camp lead by both Athletic Center and Nature Center staff. When: Camps are all day, 8:30 a.m.-4 p.m. Before and after care is available.